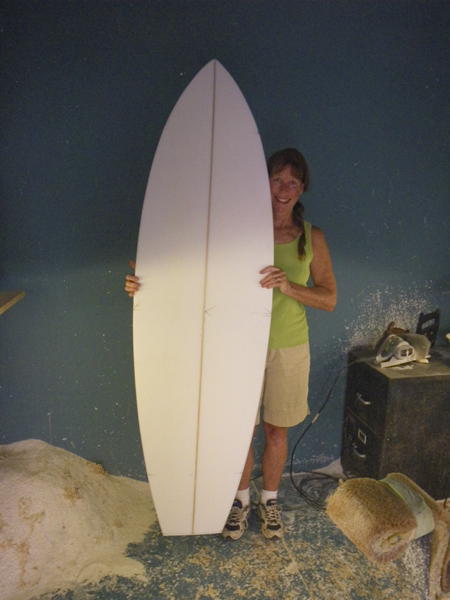 6′7″ high aspect, twin fin fish! Here we are after six hours of work and fun in the shaping room. 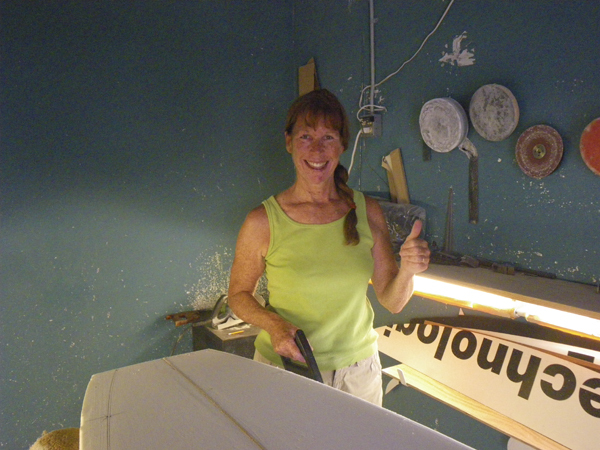 With Steve’s encouragement, Cher shaped a 6′7″, 13-3/4″, 20-3/4″, 15-3/4″, Geppie-inspired, high aspect twin fin fish. 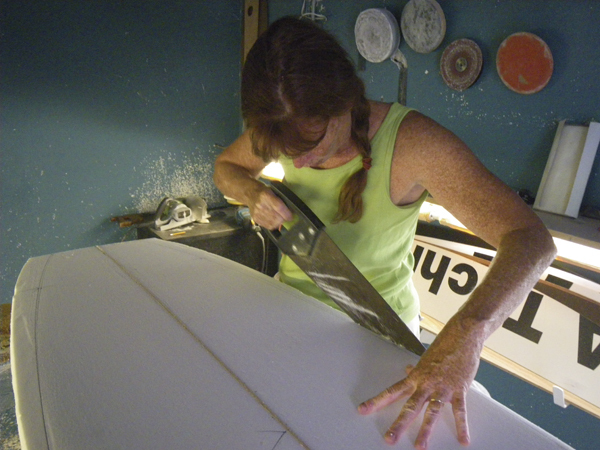 ‘Quality time together building a family board to ride waves that we love, what a wonderful birthday present. And we were blessed to share fun waves together at our favorite spot in the late afternoon. More photos of this special board are to come. So grateful for the beautiful life that God has blessed us with. Aloha! 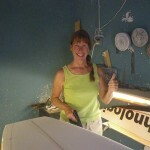 4 Comments on "6′7″ high aspect, twin fin fish!" you 2 =1 good family! Thanks for your good wishes, much appreciated. Hey Sister! thanks for your hubba, Whoo-hoo! She is now painted, and I’m looking forward to glassing and making the wood fins. I’ll post some pics, soon. ‘Hope you catch some fun ones on the swell!